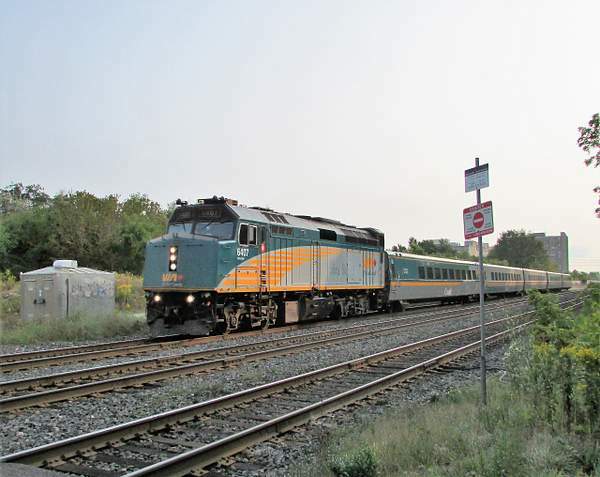 October 16 2008 VIA 8509 on Train 75 to Windsor returning on Tr 70. Likely breakin run after repairs. 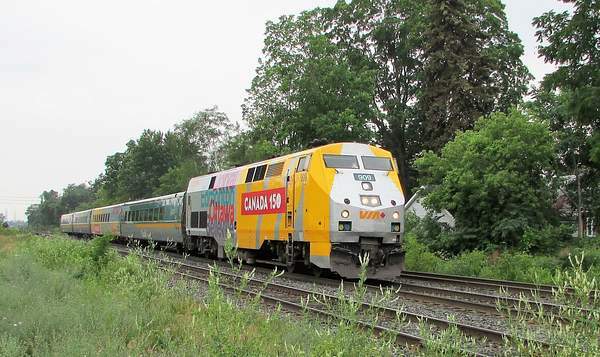 Montreal on TR 68 July 8 back to Toronto TR 57. Rare catch. 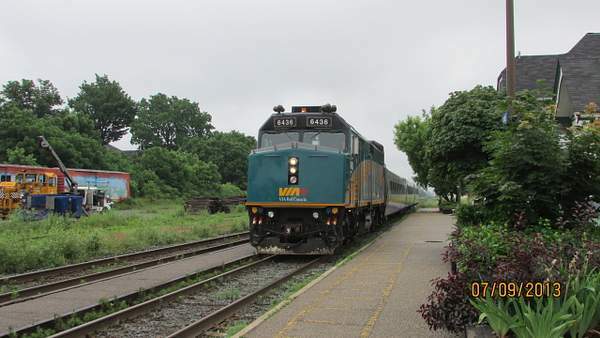 VIA 6436 arrives in Woodstock. 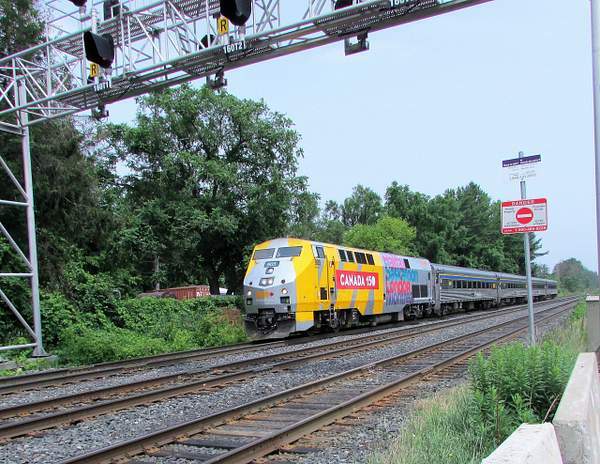 VIA 906 stops at Aldershot. 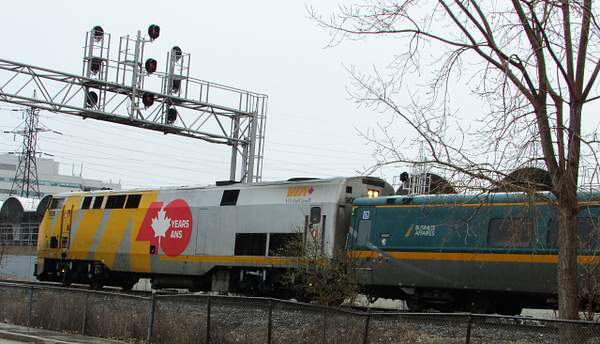 Aldershot located in Burlington has become an important point on the CN/GO/VIA lines in southern Ontario. 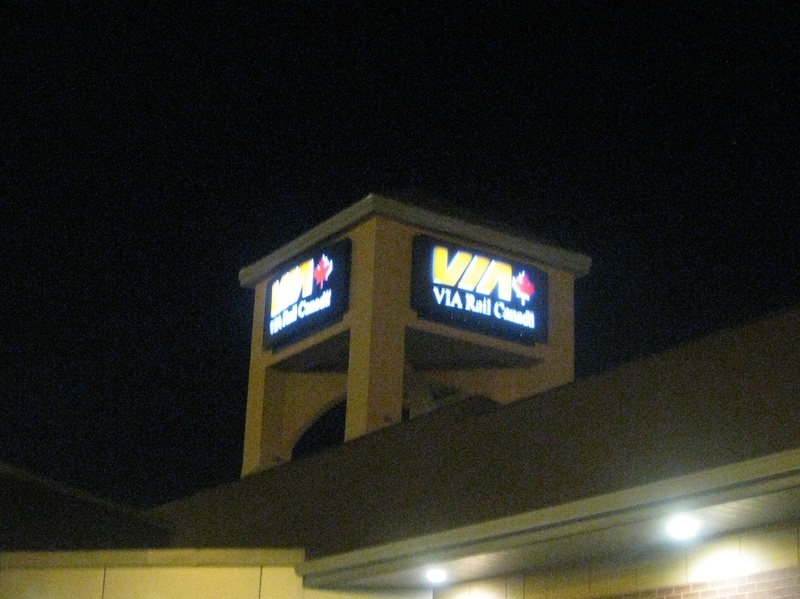 It is the passenger stop that serves Hamilton and Burlington for the VIA "Corridor" trains. 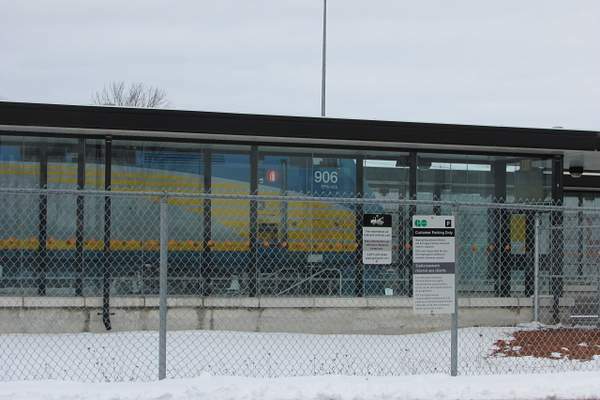 It is the west end (other than some limited rush hour service into Hamilton) of the GO Lakeshore Line and an important satellite yard for CN freight trains from Toronto to the US border crossings. 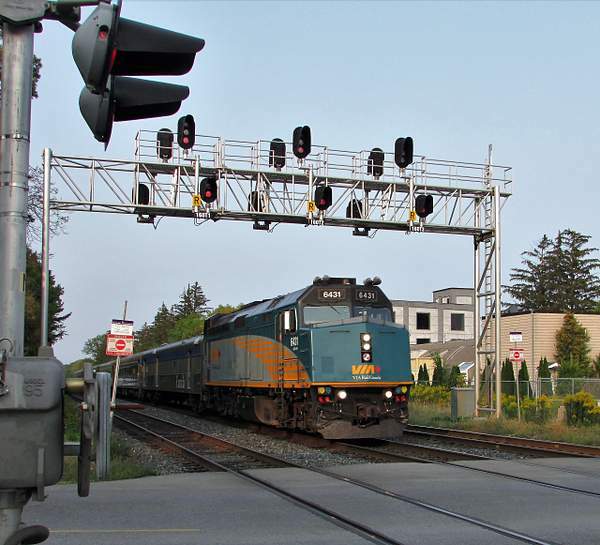 VIA 902 departing Oakville ON station. 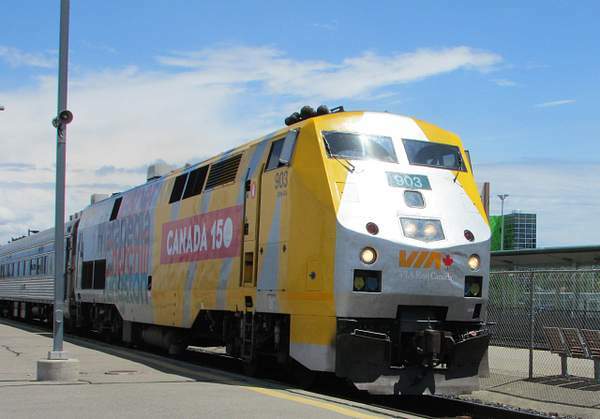 Talia photo of VIA 909 wearing Canada 150 logo in Union Station from GO Train. 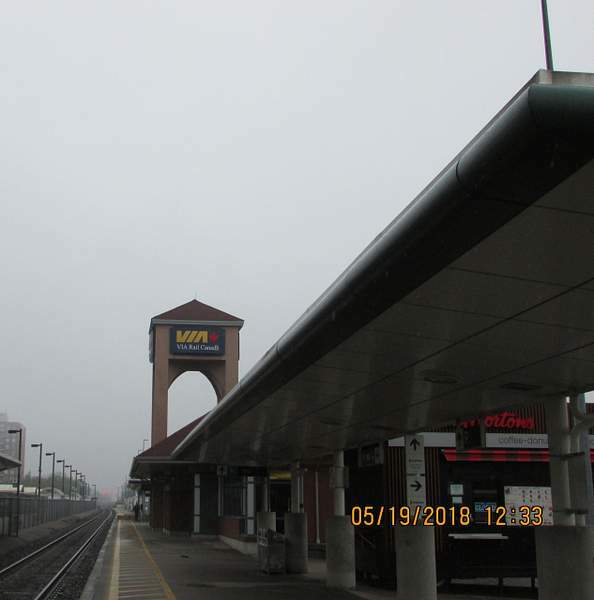 The mainline between Willowbrook and Union Station was interupted for bridge work on November 24 and 25 2018. 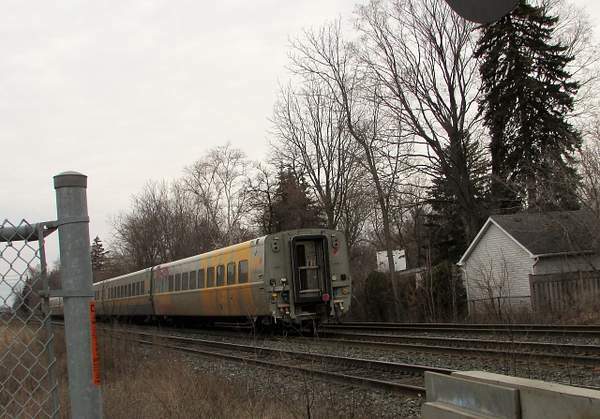 Here we see an "E" Equipment move off the Canpa Connector onto the CP line at Kipling GO with the coach leading. 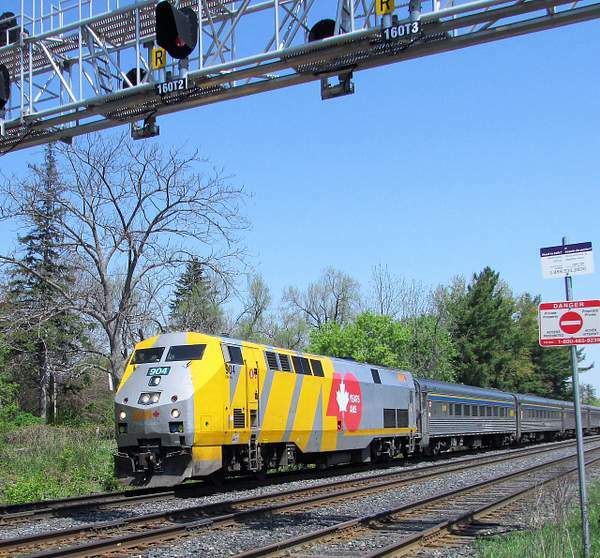 VIA 909 pushes its train from Willowbrook to Union passing Kipling GO and the TTC station. 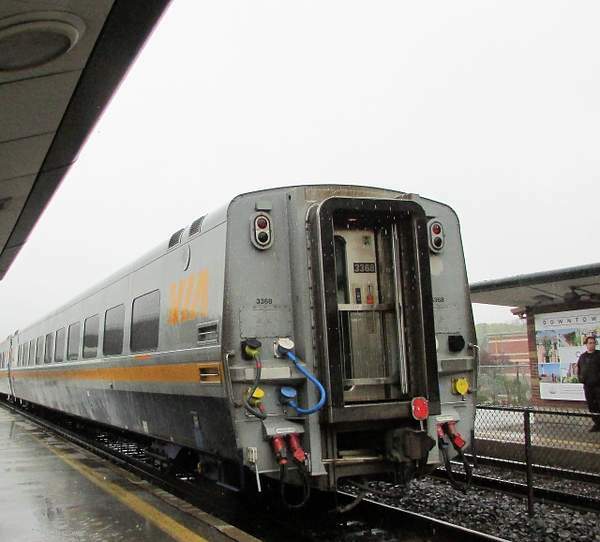 On an E move to Union Station via Canpa Connector and CP Galt Sub. 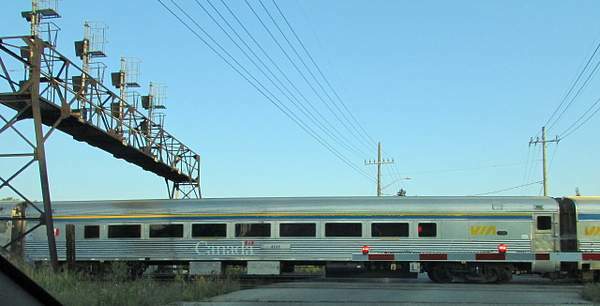 Looking north from Evans Avenue towards GO Kipling. 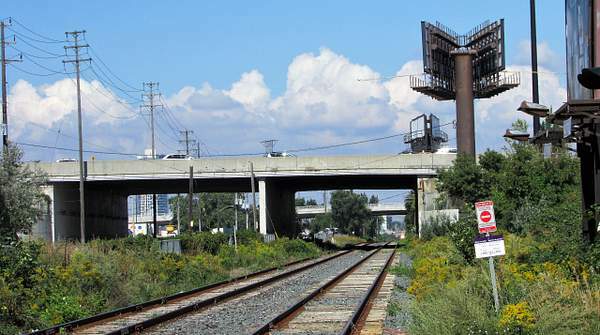 The nearest overpass is the QEW with The Queensway behind it. 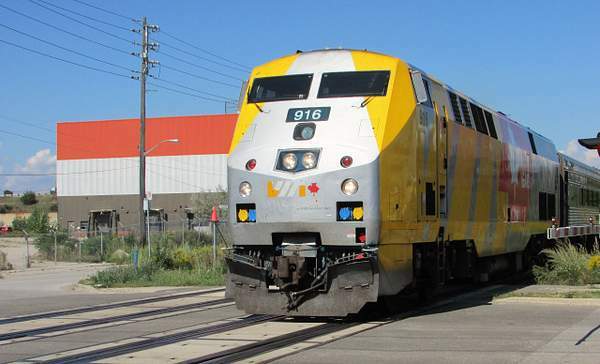 Train 73 on September 16 2018 has VIA coach 8107 as the last car. It is slowly moving along the Canpa Connector detouring around the Humber River bridge replacement project. VIA 916 on CANPA . 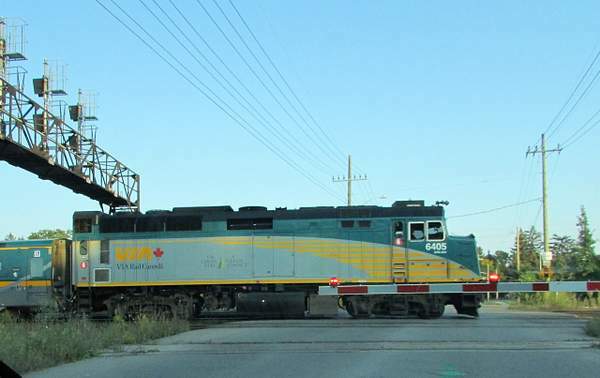 VIA 916 leads Train 73 over the CANPA connector line from the CP Galt Sub back to the GO Lakeshore West (CN Oakville) as trains are detoured around the Humber River Bridge replacement weekends only during fall 2018. 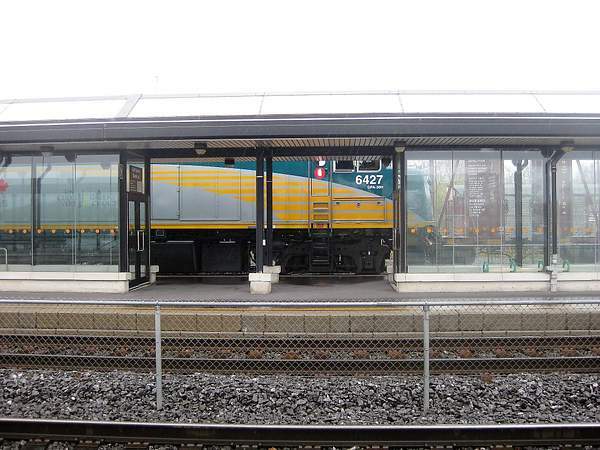 This is the Evans Avenue level crossing. 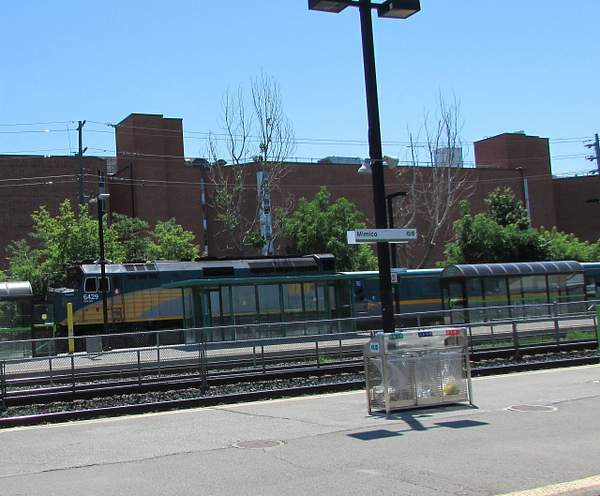 This coach passing GO Mimico on the way from VIA TMC to Union Station wears the French VIA 40th Anniversary slogan. 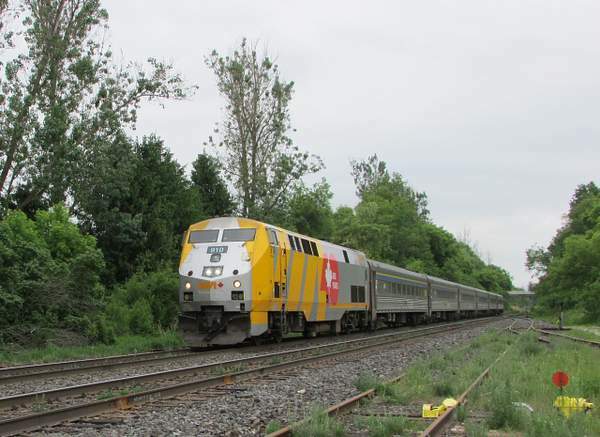 AMTK 107 is operated by a VIA Rail crew while in Canada running between Toronto Union Station and Niagara Falls ON as VIA Train 97, A USA based Amtrak crew will take over in Niagara Falls and start it on the journey to New York City as The Maple Leaf. 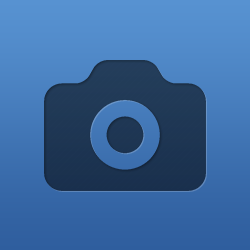 - See September 1 2018 as well. 68 seat Stainless Steel Coach. 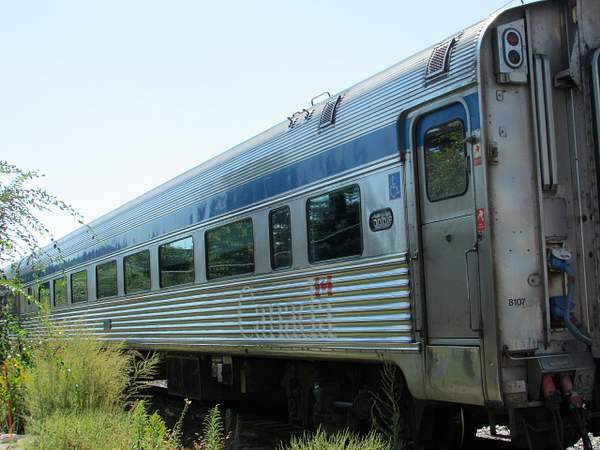 Originally built in 1953 for the C&EI (Chicago & Eastern Illinois) as #484. 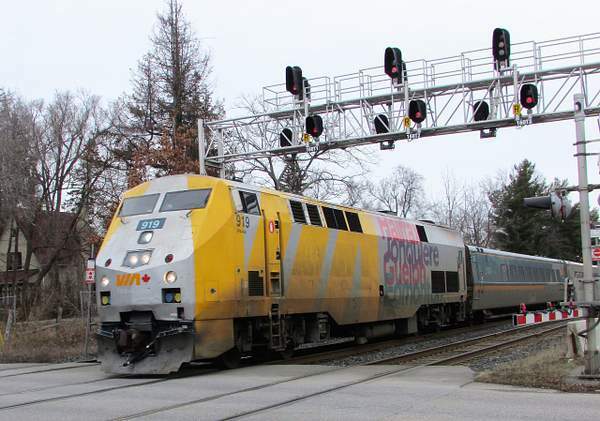 Served till 1970 when assigned to L&N as #3245 until Amtrak was formed in 1971. 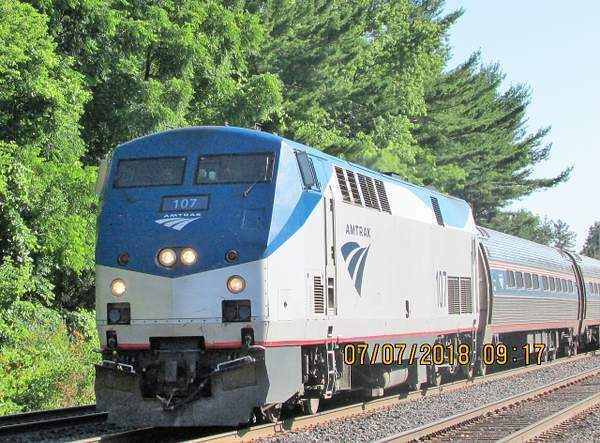 Amtrak coach #http:// 1990. 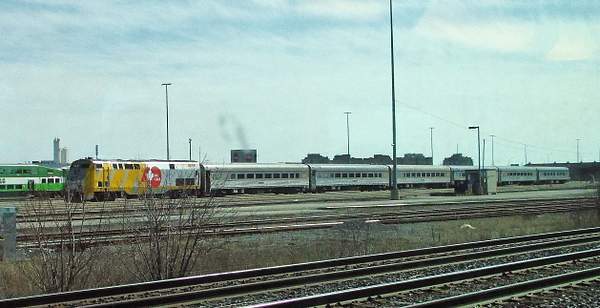 VIA 154 until converted to service use in 1996/96. 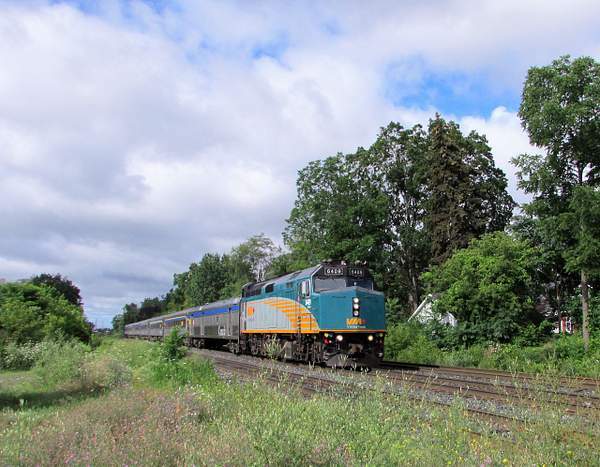 This photo on Train 73 passing copetown ON - June 2 2018. 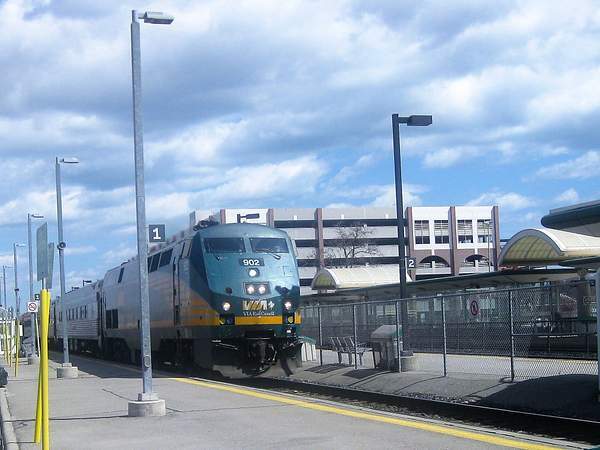 Oakville is combined VIA and GO station. 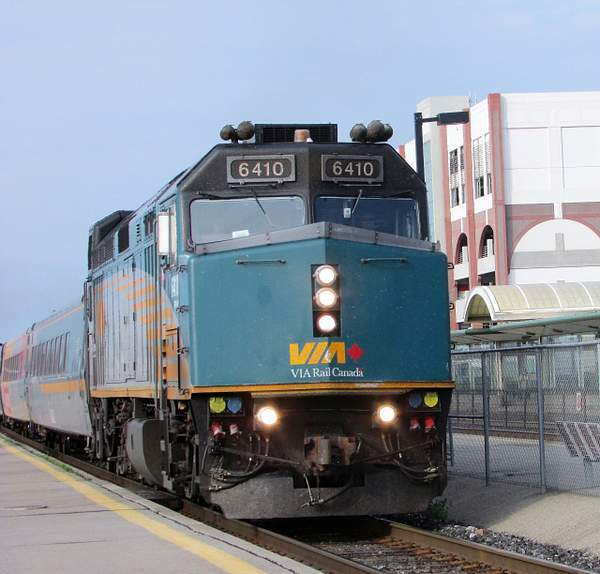 VIA 6431 and 6435 are at the Toronto Maintenance Centre with the trainset for VIA 1 - The Canadian which travels between Toronto and Vancouver via Winnipeg and Edmonton 3 times a week. 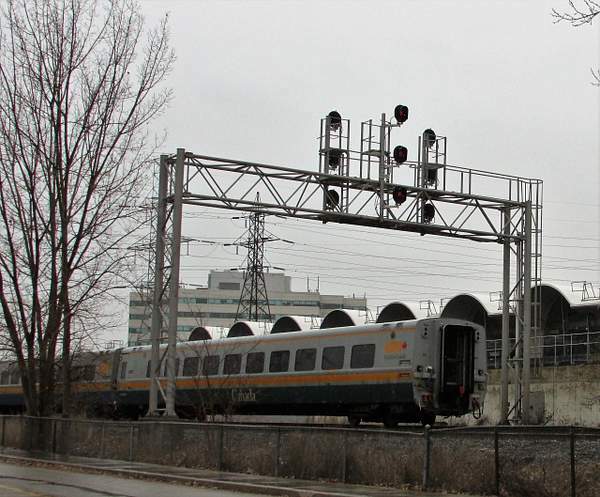 VIA 906 with a 6 car HEP trainset waits its call to go to Union Station sitting in the yard at the Toronto Maintenance Centre . 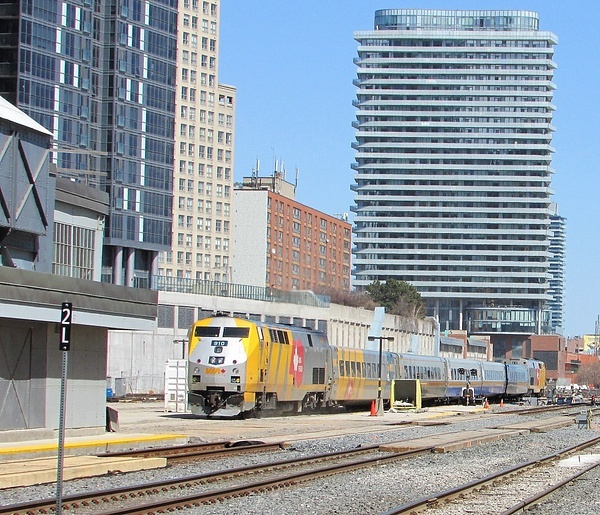 4 car train set heads west through Union Station Rail Corridor possibly headed to the TMC at Willowbrook Yard in Mimico. 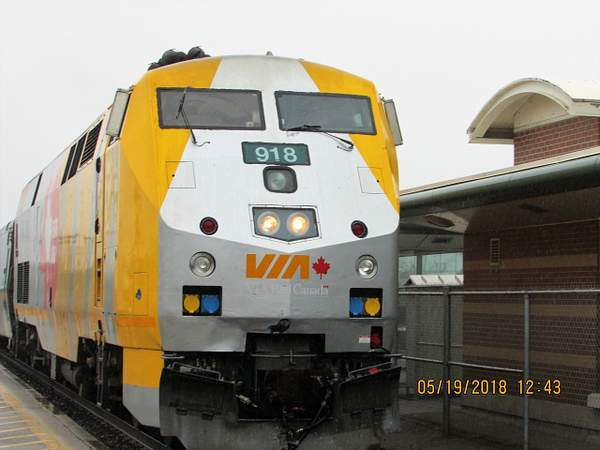 VIA 910 leads a westbound train into Toronto Union Station from the eastern end of The Corridor either Montreal or Ottawa. . 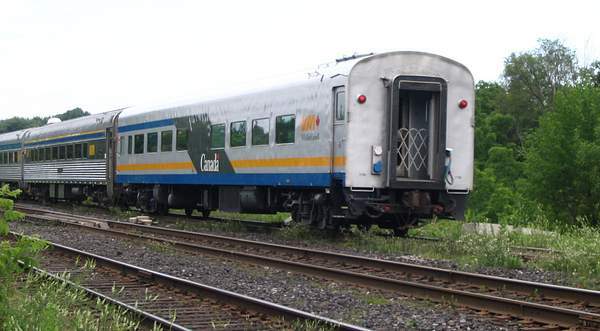 VIA Coach 8107 was built by the BUDD company for the CPR in 1955. 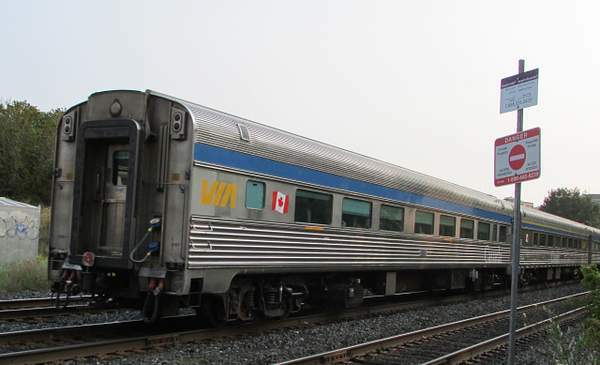 It and fellow fleet mates were refurbished between 1993 and 1995 and placed in VIA Corridor Service. 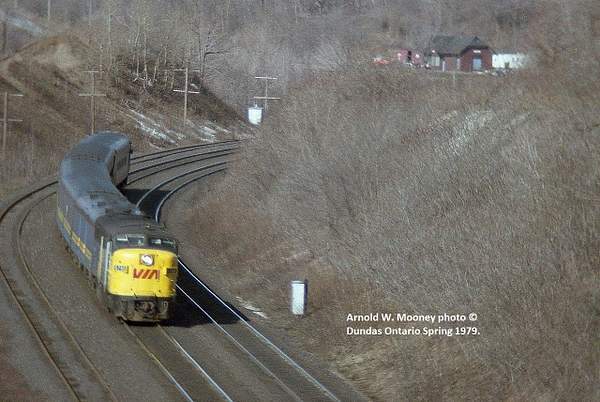 It was on Train 76 this day. 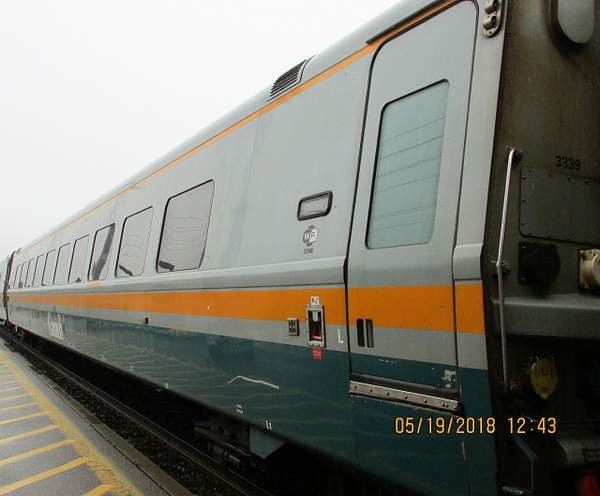 Train 73, Saturday February 24 2018. VIA 919 was the power. 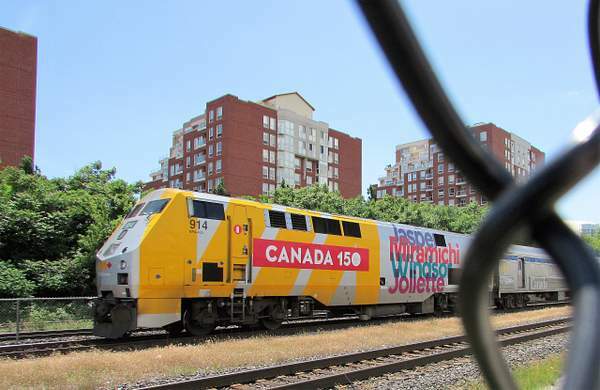 The CANADA 150 wrap on the locomotives and some cars includes a list of points served by VIA RAIL. Coach 3351 would never be sent to 3 of these four places. 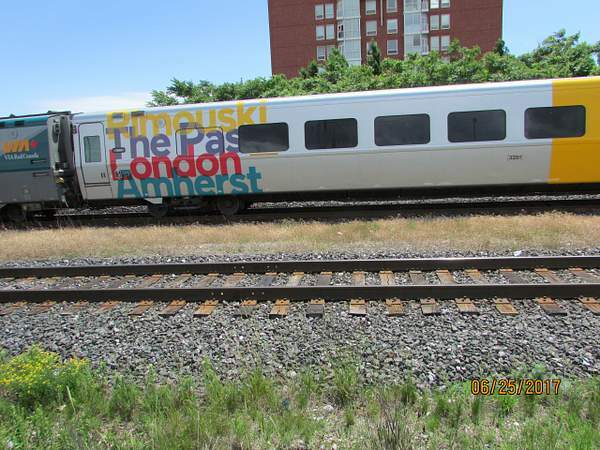 It is assigned to CORRIDOR service and London is the only Corridor point shown. 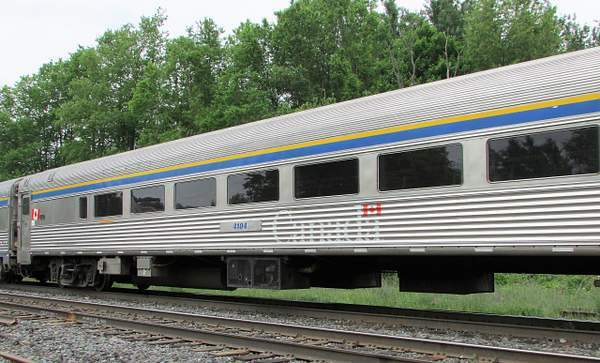 This coach was built in 1984. 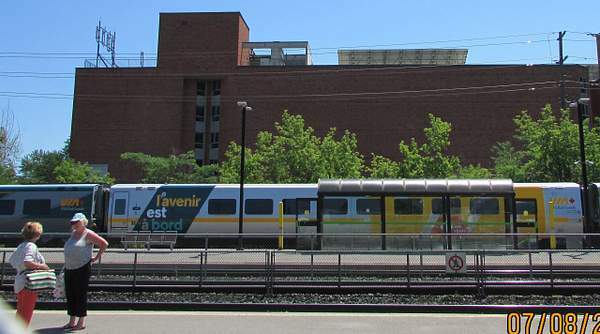 A late running VIA 76? 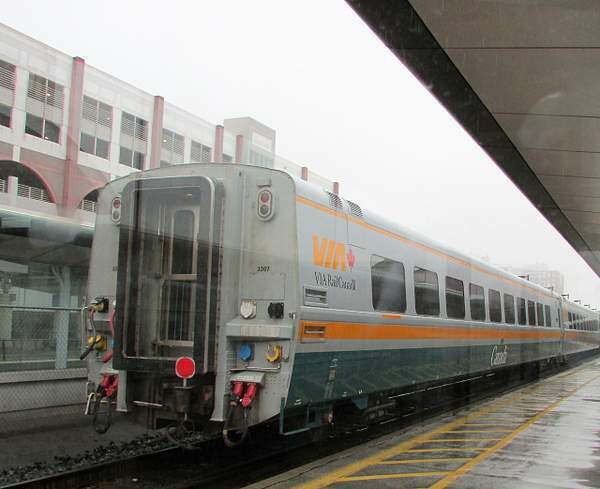 Next Stop, Toronto Union for Train 70. 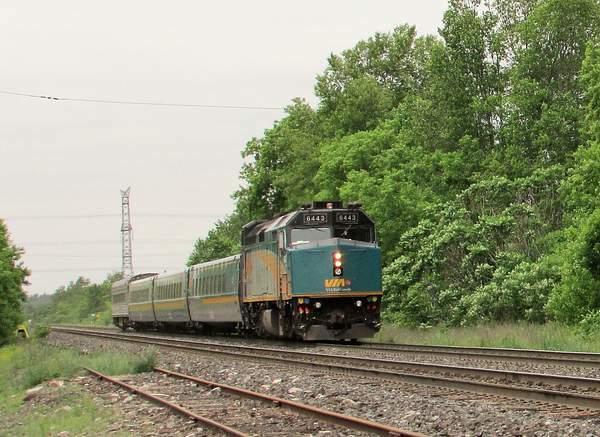 Train 72 on the home stretch to Toronto Union station. 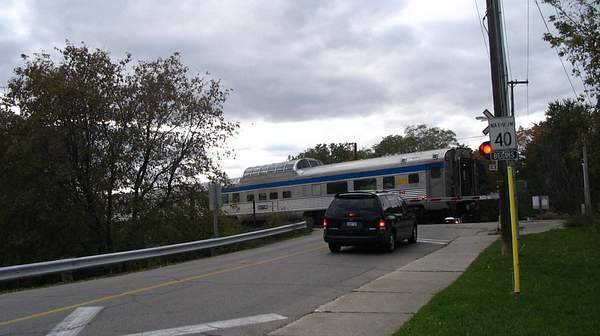 Train 75, Toronto to Windsor, heading to first station stop at Oakville passing Clarkson Road level crossing. 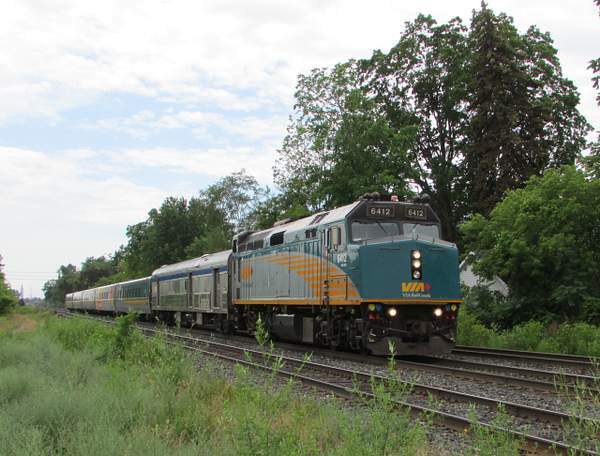 Train 75 already 20 minutes late leaves Oakville ON on its way to Windsor. 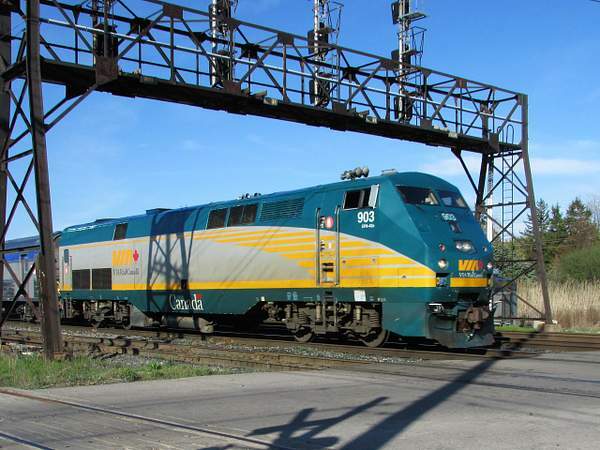 Train 76 from Windsor to Toronto. 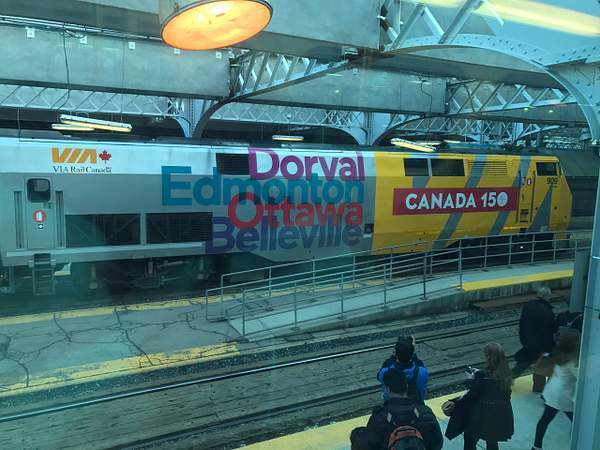 No Canada 150 logo.